Me and Dung Nguyen outside of the radio station in Chicago. Tomorrow is the 47th anniversary of the My Lai Massacre, in which American soldiers killed 500 unarmed Vietnamese in 1968. Every year at this time, US veteran Mike Boehm plays his violin at My Lai as an offering to the spirits of the dead and for those still living in the area. While Boehm was not involved in the massacre during the war, he says that My Lai represents the darkness of the whole American conflict in Vietnam. Since 1994, his organization MQI has been providing support to the people of My Lai and Quang Ngai Provence in central Vietnam. In honor of the anniversary, I’m posting a Vietnamese documentary about Boehm and the legacy of the massacre. You can watch the first part above and the rest below. 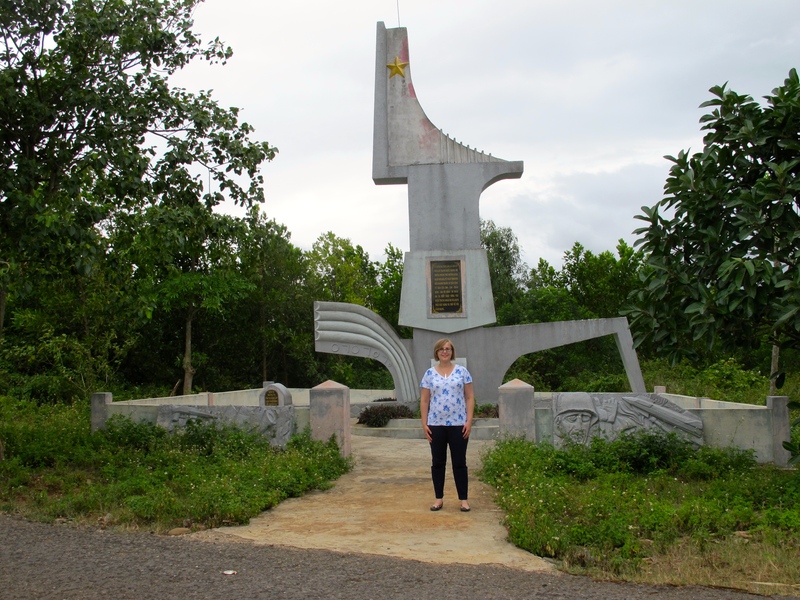 To find out more about My Lai today, you can read about my trip to Quang Ngai here and here. Benjamin Busch in 2003 during the U.S. invasion of Iraq. (Photo by Sgt. James Letsky, via Facebook). I just finished reading a fascinating article by Marine Corps veteran Benjamin Busch about his return to Iraq a decade after he served there. Busch first went to Iraq in 2003 to lead a light armored reconnaissance company. He served as provincial military mayor of the desert town Jassan, near the Iranian border, and was part of some early democratic efforts in the region. 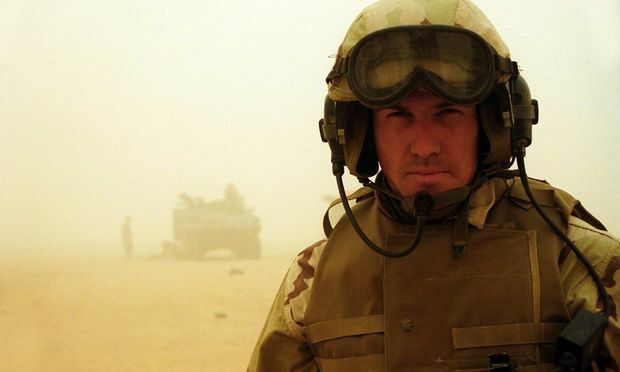 After leaving Iraq, Busch had a successful career as an actor and writer, penning a memoir about his time as a solider called Dust to Dust in 2012. Throughout his ten year absence, however, he wondered what had happened to Jassan and the people he had come to know there. So in December 2013 he returned to Jassan to find out, a trip that the US State Department emphatically tried to dissuade him from taking. It was very interesting, because driving through the country in 2003 I had been way up on top of a light armored reconnaissance vehicle. I kind of had viewed even the road from a position of height. And now I was in the back of a cab. I had lost all of my authority. I had grown a beard and I had gone in disguise as much as I could. I wanted to find out what they thought of me and us. The sad thing about Iraq, of course, is that they kind of have come to a point where the future is an impossible world. No one gets to live there. They’re living day to day. They really feel that as bad as things are right now, it will get worse. Busch said that by returning to Iraq, “I realized finally my place in history.” I hope that other Iraq War vets will have the same opportunity in the years to come. 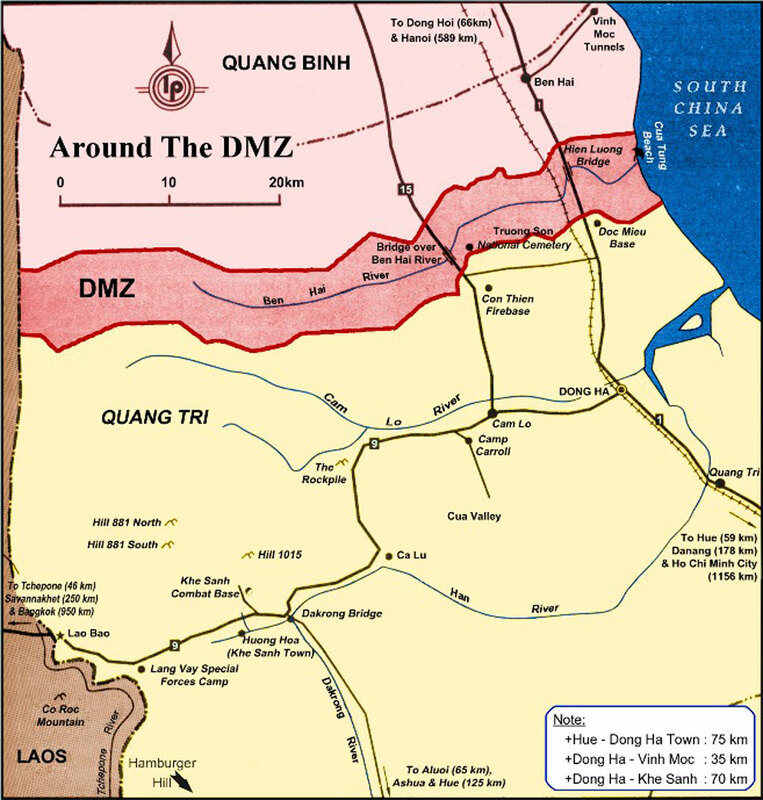 A map of the former DMZ, which separated North and South Vietnam. When I was in Vietnam in June I visited the former demilitarized zone, which once separated North from South Vietnam. The DMZ would have turned 60 this year with the anniversary of the 1954 Geneva Agreement, which divided Vietnam into two states and laid the groundwork for the Vietnam War. During the war, the region saw fierce fighting including the Battle of Khe Sanh in 1968. By the time Saigon fell in 1975, only 11 out of the 3,500 villages in Quang Tri Provence south of the DMZ remained intact. Today, monuments, museums, and rubber plantations have sprouted in the former battlefields. In order to get a better sense of what the DMZ was once like, I hired a tour guide to take me the length of the zone — from Dong Ha in the east to the Laotian border in the west. My guide, Tran Hoa, was a veteran himself. He was conscripted into the South Vietnamese military and served there from 1974 to 1975. Our first stop was the Route 9 National Cemetery, which houses the remains of over 12,000 Viet Cong and North Vietnamese fighters. 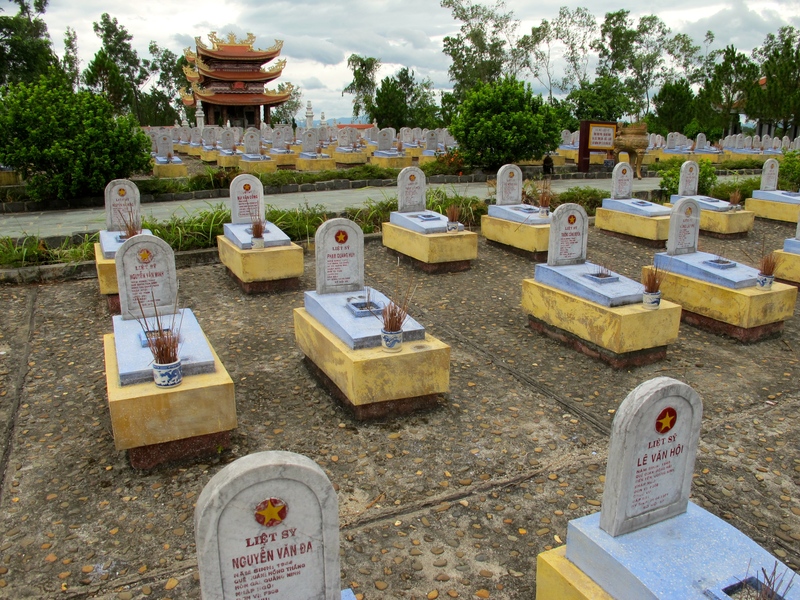 Many of these fighters died while traveling down the so-called Ho Chi Minh Trail, the clandestine network of roads used by the North to infiltrate the south. 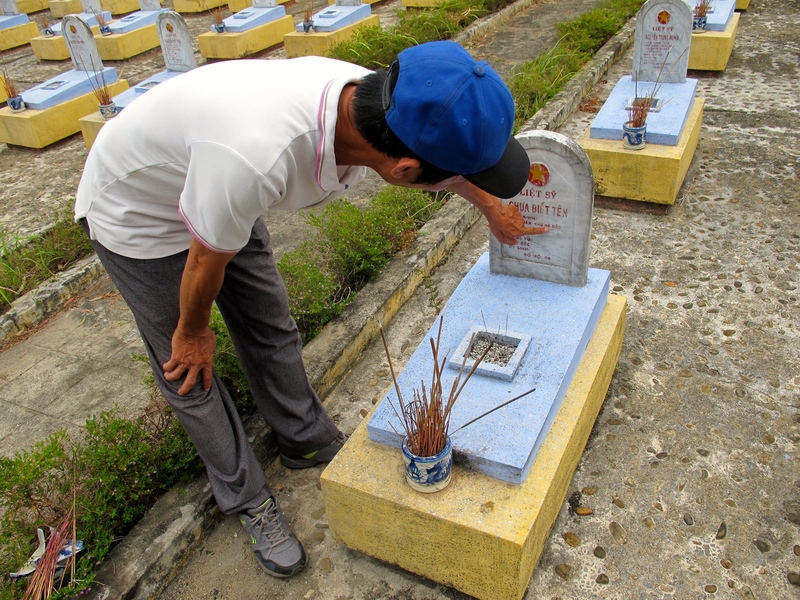 There are 72 war cemeteries in Quang Tri Provence alone and many of the bodies buried there have yet to be identified. Since the fighters died far from home, there often wasn’t family members or friends around to claim the dead. Hoa told me that some families have now decided to use DNA analysis to find their deceased relatives. Others resort to more ancient techniques and consult psychics to tell them where their family members are buried. West of the cemetery lies the remains of Camp Carroll. The US Marine Corps used the camp as an artillery base during the war since it had a clear view of the nearby hills and valleys. Today, however, you can’t see much from the camp — trees from a rubber plantation obscure the view. 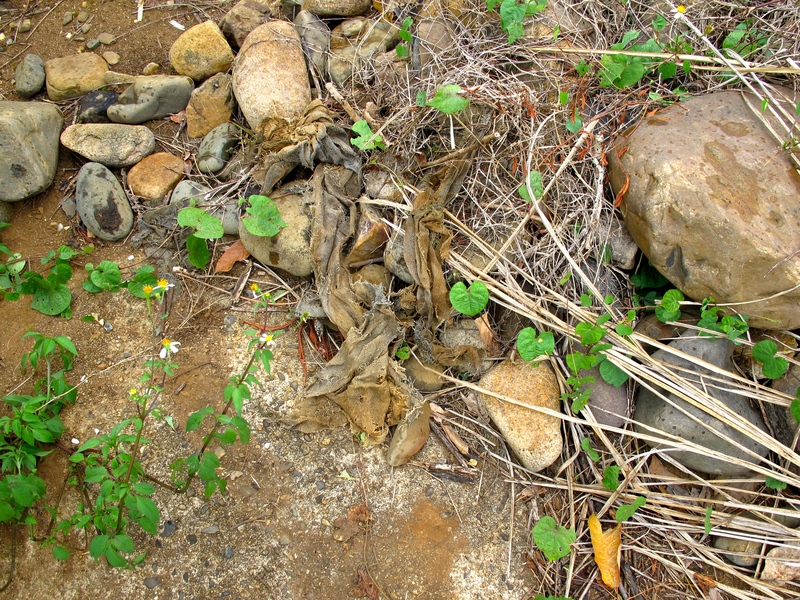 The cement platforms on which the artillery used to stand remains at the base, as do scraps of sandbags from the war. 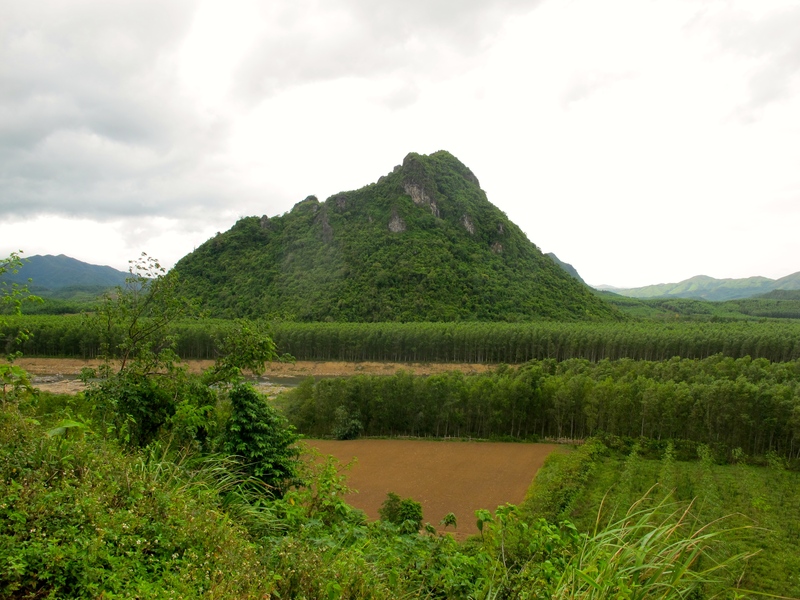 Further west along Highway 9 is The Rockpile, also known as Thon Khe Tri. The Army and Marines used it as an observation post during the war. Because of its steep sides, the only way on or off The Rockpile was by helicopter. The Han River travels from the South China Sea westward along Highway 9. 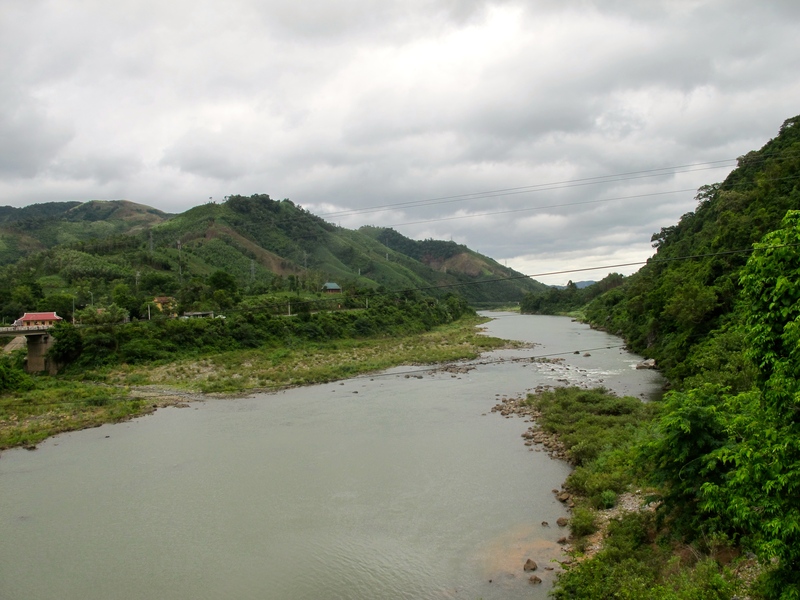 During the war, North Vietnamese forces had to ford the river in order to continue southward on the Ho Chi Minh Trail. Today, however, the Dakrong Bridge makes crossing the river easy. 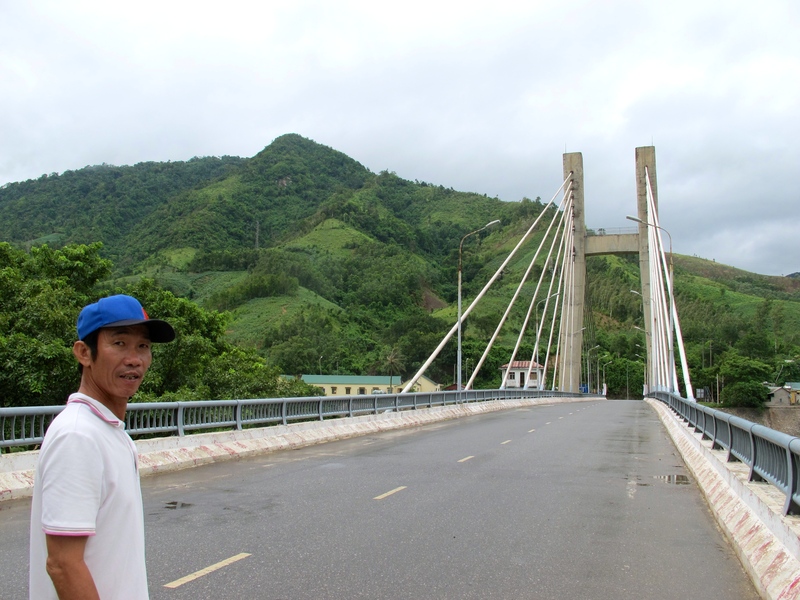 Cuba initally funded the building of the bridge in support of North Vietnam’s war efforts. Before the war, the region south of the DMZ was home to abundant wildlife and natural forests, as well as a strong ethnic minority population who built their homes on stilts to protect against tiger attacks. The fighting during the war, however, killed or scared off the native tiger population and the environment was further decimated by the use of defoliants like Agent Orange. The forests are now growing back — though they are not nearly as lush as they once were — and ethnic minorities have returned to their traditional homes. 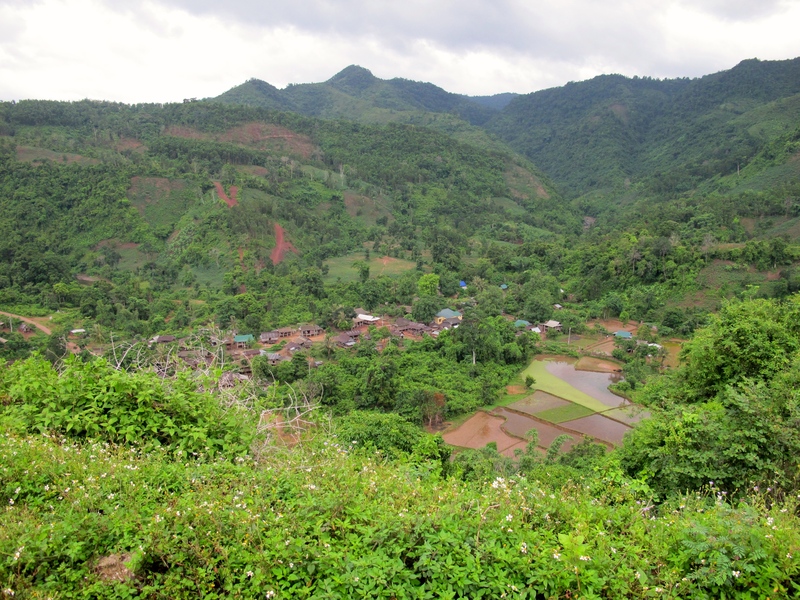 Hoa tells me that the village in the valley near Khe Sanh got electricity only three years ago. 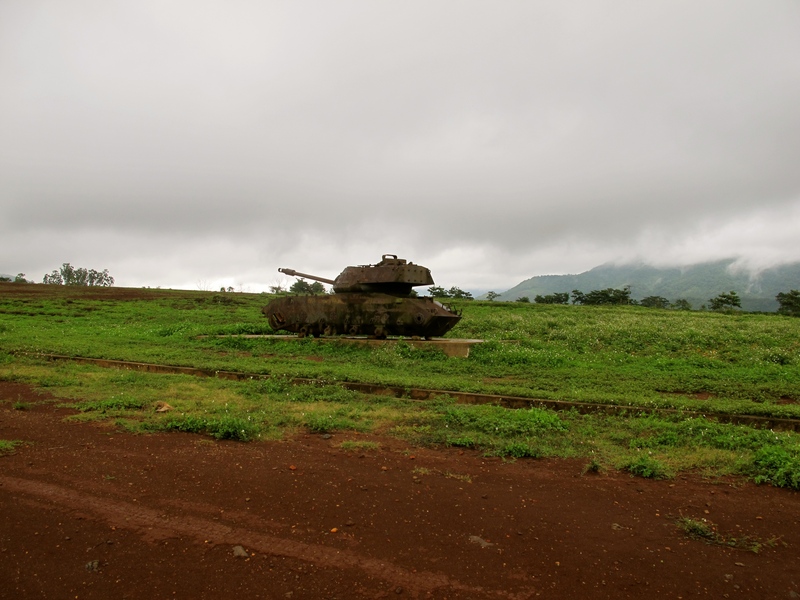 Near the western edge of the DMZ are the remnants of Khe Sanh Combat Base, a Marine Corps outpost. After the brutal 1968 battle here, in which North Vietnamese troops surrounded the base for 77 days, the US abandoned Khe Sanh and destroyed or removed all of their equipment and buildings. 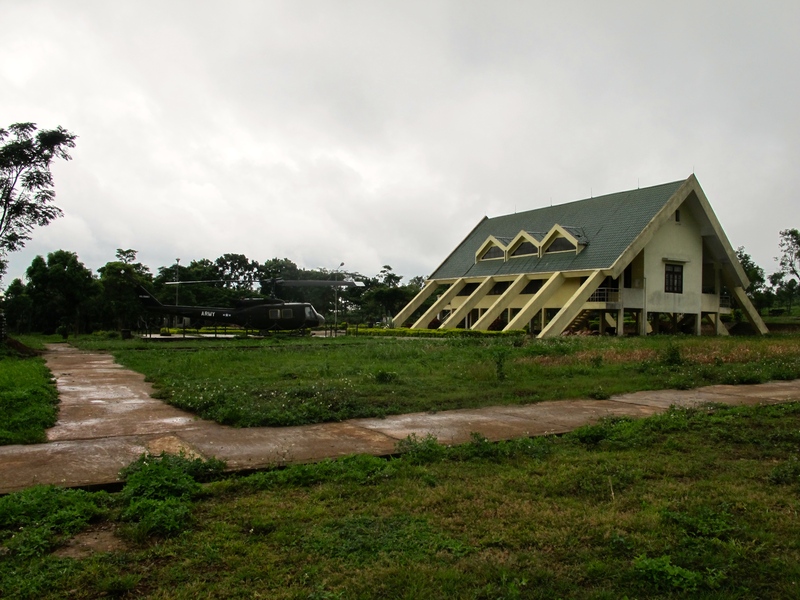 When American veterans started to return to Vietnam in the 1990s and asked to visit Khe Sanh, the Vietnamese government realized the value of the old base. They transformed the abandoned piece of land into a tourist destination, building a museum and bringing in old American tanks and helicopters. 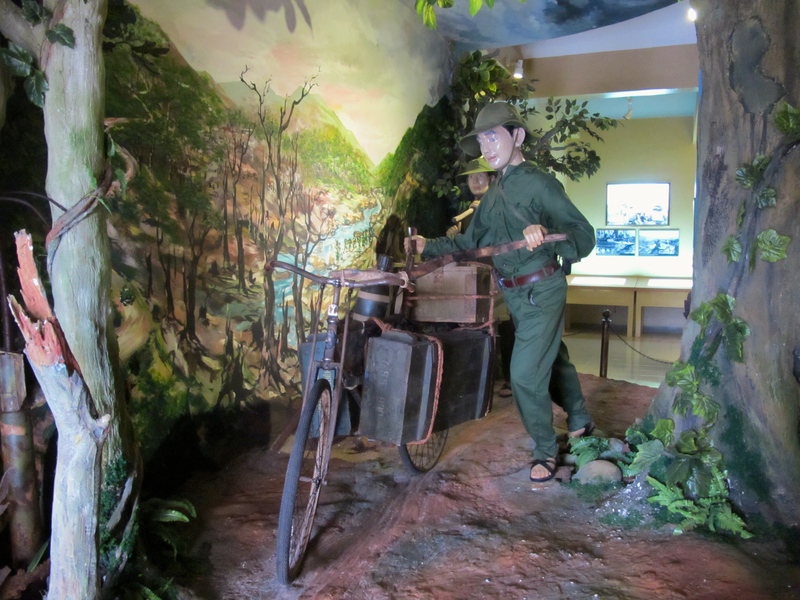 A diorama at the Khe Sanh combat base museum shows how Viet Cong forces traveled along the Ho Chi Minh Trail. 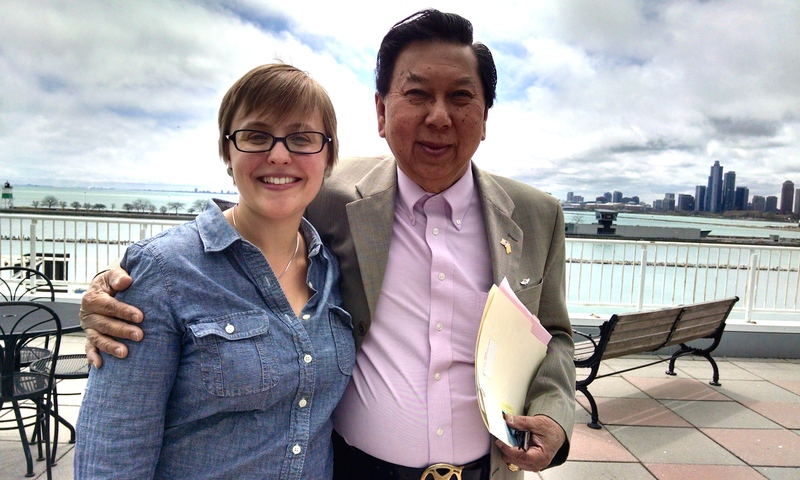 (Photo by Nissa Rhee, June 2014). Veterans who visit the base might be disappointed to learn that the museum is filled mostly with propaganda; one photo from the 1968 battle is captioned “US marines shutting themselves in bunkers for fear of their own shadows.” Like at so many war museums in Vietnam, it’s clear here that history is written by the victors. Hoa tells me that he’s taken many American veterans to the former DMZ since he became a guide in 1992. He says that he was surprised at just how emotional a journey it is for some former soldiers. Across the street from the former Marine base, is one of Khe Sanh’s many coffee farms. The arabica beans grown in the region have transformed the former conflict zone into a booming coffee town. Still, the war is never far from the farmers’ minds. Just this April, a coffee farmer lost both his hands when he found a leftover bomb from the war and it exploded at his touch. In my next blog post on the DMZ, I’ll look at one of the organizations in Quang Tri addressing the issue of unexploded bombs and landmines today. Project RENEW was cofounded by American veteran Chuck Searcy and is a great example of how former enemies are working together on a deadly legacy of the Vietnam War.